There are obviously risks attached to playing Pokie machines in any playing environment, and when you make the decision of playing pokie games online or at any mobile casino sites you will never want to increase the risks you are taking! With that in mind and at the forefront of your mind we want to pass onto you a few sensible and well thought-out hints and tips to ensure that you are always going to play within your means and will never end up playing at a casino site that is going to mess you about or play games with you when it comes to cashing out your winnings. Self Imposed Gambling Limits – What we are seeing more and more thanks to some changes in regards to online gambling laws and regulations in Australia is that many casino sites are obliged to offer all of their real money players a range of self imposed gambling and wagering limits before they actually start to gamble at those sites. The responsible way for you to gamble online or via a mobile device is to make use of those betting limits and decide in advance how long you wish to play for, the amount you wish to gamble and also how much you wish to deposit per session over any given period of time. Licensed and Regulated Casinos – You are not going to find it illegal to gamble online in Australia as the Australian Government Gambling Laws state that players are able to gamble online without fear of prosecution, however they have stopped short of actually licensing and regulating online or mobile casino sites themselves. As such you should look out for a casino site that is licensed in another country, but a country that does have a robust and first class reputation in regards to licensing and regulating such casinos. Using Your Bankroll Optimally – Make sure that you only ever set aside an amount of cash to gamble with that you can comfortably afford to lose. When playing pokies you are going to have more losing sessions that winning ones and you will never want to leave yourself short of cash when gambling! Picking Which Pokies to Play – The best Pokie game to play will be one that offers you the highest possible payout percentage, as that pokie will, over the longer term, give you much more of your stakes back as winning payouts than compared to an online or mobile Pokie game which has a slightly lower payout percentage! So make sure the higher paying ones are the ones you play. Help and Advice for Problem Gambling – If at any time you are worried about the amount of time you gamble or the amount of money you are gambling with then there are lots of Australia based gambling support groups who can offer you help and advice. Many players may experience problems occasionally in regards to their gambling habit and as such please do seek the free help and support offered by those support groups to help you stay in control or even give up gambling completely. 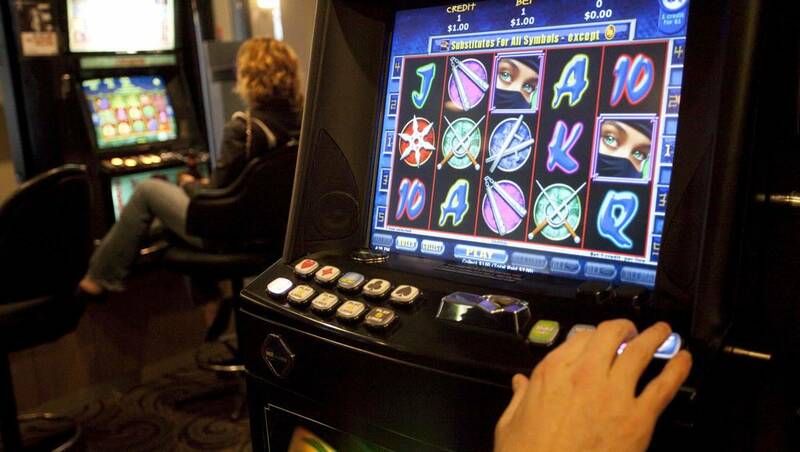 Minimum Legal Age to Gamble – Please be advised that the minimum legal age to gamble in Australia is 18 years of age, you will not be permitted to sign up, deposit or play at any online, land based or mobile gambling site or venue if you are under the age of 18, and you may be required to provide identification if you look under the age of 18. Stop Loss Pokie Limits – No Pokie player will want to play a Pokie game that is continually eating up their bankroll and not giving anything back in return, and one way for you to have an enjoyable and possibly lower cost type of Pokie playing experience will be to have a stop loss limit in place. You should choose an amount of your bankroll you wish to play with on any pokie game you are attracted to playing and then once you have used up that amount of cash stop playing! Selecting a Winning Goal – When playing a Pokie game or several different pokie games you could win in an instant a high valued winning payout or even bag a huge jackpot. One way that many Pokie players will put together a playing strategy is to have in mind a winning goal before they start to play. Some players will aim to double their starting bankroll when playing a Pokie game which is in fact a fairly good and well thought out playing strategy, as long as you do have the will power to actually stop playing when you have reached your winning goal that is! Bonuses and Player Comps – Keep in mind when playing at one of our top rated Australia player friendly online casino sites you are going to not only be earning lots of valuable comp points when playing any of their real money Pokie machines you will also be given access to lot of bonus offers too. The bonus offers and special promotions that will be available to you are going to be much more generous than any available at your local casino venue, and that is one of the main reasons more and more pokie players now play online as the additional extras they will earn allows them to get the maximum value and play time from their bankrolls! Playing for Free to Relieve Boredom – You are always going to be able to play Pokie games online or on a mobile phone or tablet device for free and at no risk, unlike land based casinos in Australia when playing at such online and mobile casino site you will have access to an unlimited supply of free play credits.